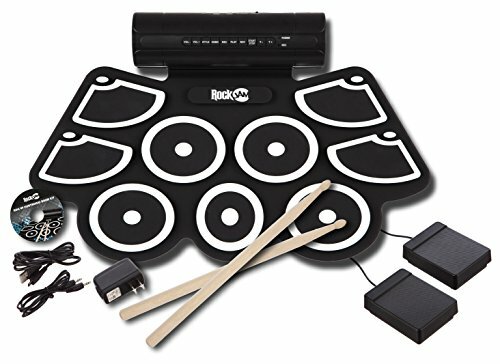 In this article we will be reviewing the RockJam RollUp Electronic Drum Kit with MIDI capability. These little portal drum sets have been really gaining traction over the last few years. They are a quick, simple and quiet product that you can have a lot of fun drumming on. 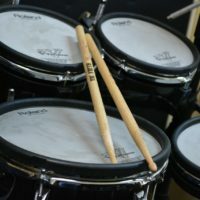 Although they are not the most sophisticated electronic drumming items available in the world, they are a simple option that can work great for kids and adults that are looking for a casual drum playing option. Please note that there are two main RockJam roll-up electronic drum set models. The version that we’re talking about in this article is the one with MIDI and built-in speakers. There is also a cheaper option, which comes without these features. This is a compact roll-up kit that comes with nine pads and an in-built speaker. There are multiple different drum kits to choose from and you can also record and listen back to your playing. The pads are actually sensitive enough for hand-playing without drumsticks, which is a great feature. Even many pro sample pads are not that sensitive enough for hand playing. This kit also comes with two pedals, one with simulates a hi-hat and the other simulates a kick drum pedal. Therefore, you get everything you need in order to start playing. You can connect this specific model of the RockJam roll-up drum set to your computer or other music gear via MIDI. This can be done using the USB slot on the back of the kit. If you are interested in doing this but don’t have any experience in it, then you should read up a little about music DAWs and Drum VSTs for your computer. There are many free versions of each available online. You can connect headphones via the standard 3.5mm jack at the back of the RockJam drum kit (the same type as most phones and laptops). The roll-up drum set can then be played very quietly. You can add music into the mix using the ‘mp3’ 3.5mm jack at the back of the RockJam drum kit. You can use any standard 3.5mm to 3.5mm audio cable (you might already have one of these to connect your phone to your car’s speaker system). Very portable and compact: You can roll this out and pack it away in no time. Easy to play: Learning how to play this is a no-brainer, and the options are very easy to use. Built-in speakers: You do not need to hook this into an external amplifier in order to use it. Headphones: You can plug headphones into this for very quiet playing. This is particularly useful for kids (although make sure to keep the volume low to protect their hearing!). MIDI capability – you can hook this up to your computer or MIDI interface to trigger external sounds and make it interact with other music production gear. Very useful! Does not include a built-in battery, therefore it needs a power supply. 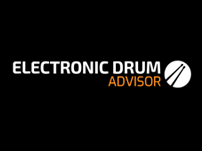 Does not have the same sensitivity of rebound possibilities that you would get with a more fully fledged electronic drum set. Does not have the presence of a full electronic drum set. The onboard sounds are not amazing. However, there is a lot of scope to hook this up to some great drum sounds via music production software on your computer via MIDI. Can you learn to play drums on the RockJam Roll Up Drum Kit? You can learn some basic beats and it can help with your drumming co-ordination. 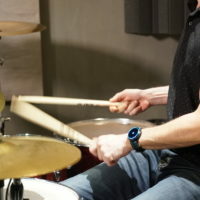 It’s not an ideal option for adults that are serious about playing drums as the small playing surface and lack of rebound while playing can limit your learning. However, it’s great for kids as a quiet playing option and it is very useful for adults that are looking for a quiet drum practice option. It is very useful for apartments and places that you cannot make a lot of noise. 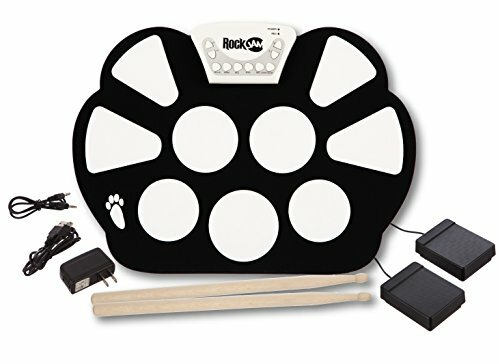 The RockJam RJ760MD Roll Up Electronic MIDI Kit is a very nice option for those considering a fun and casual drum playing option. I think this particular model is significantly stronger than the cheaper RockJam model that does not contain built-in speakers or MIDI connectivity. Paying a little bit more gets you some much more useful features. The RockJam Roll Up Kit is one of the best of its kind out there. You won’t get top of the range drum playing from any roll-up drum kit, but you get very good quality for something in such a low price range.